This weekend: Wing It - GetGoing NC! Wings Over Water dominates the statewide outdoors scene with a bevy of events running through Sunday. Meanwhile, the fall migrants are on the move at Lake James while fall color enjoys one last big weekend in the mountains before focusing on the Piedmont. As far is Wings Over Water is concerned, your weekend started Tuesday. 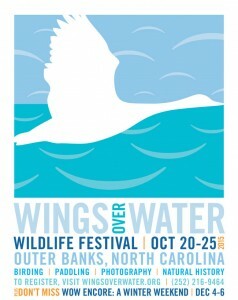 Now in its 19th year, Wings Over Water is the coast’s premier celebration of the natural world. From Tuesday through Sunday, Wings Over Water events are held in a five-county region of northeastern North Carolina, an area that includes six National Wildlife Refuges: Alligator River, Pea Island, Pocosin Lakes, Mattamuskeet, Mackay Island and Currituck. There are birding events, there are paddling trips, there are photo safaris and this year there’s a new stand-up paddleboard tour. If you’re curious about an aspect of nature at the coast, you’ll likely find a program to fill you in. Logistics: Tuesday, Oct. 20 through Sunday, Oct. 25, five-country area of northeastern North Carolina. Fees per session are generally between $25 and $40. For a complete schedule and information about the program, visit the WOW home page. Forecast through the weekend: Very fall-like, with daytime highs around 70 under mostly sunny skies. Looking ahead: Bummed because you already have plans for the next few days and can’t make Wings Over Water? Then you’ll be cheered to hear that this year there’s a WOW Encore Weekend, Friday, Dec. 4 through Sunday, Dec. 6. Details here. There’s more to fall than just the woods brimming with color. The bird population, for instance, is busy making winter travel plans. Saturday, at Lake James State Park you can hang out with ranger Jamie Cameron and watch the fall migrants head south. Jamie can tell you which birds are which, as well as where they’re coming from and where they’re headed. 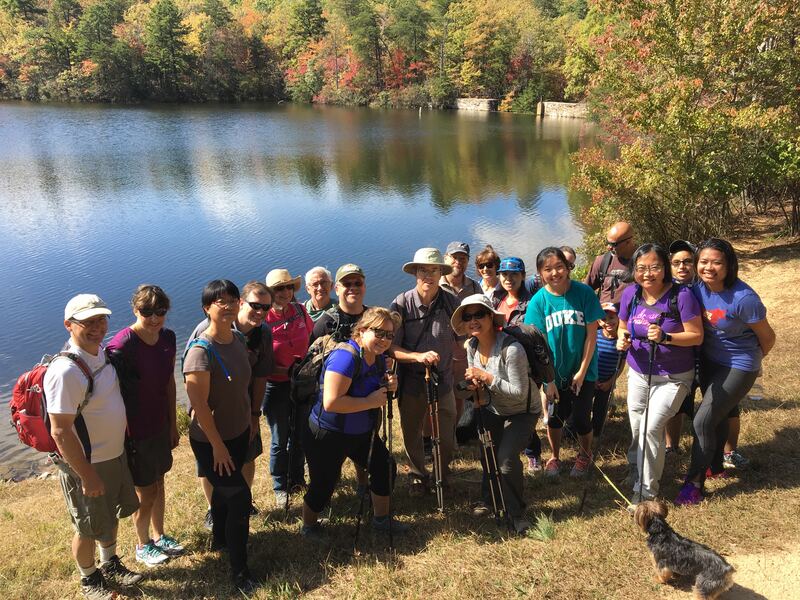 Logistics: Saturday, Oct. 24, 8 a.m., Lake James State Park, Nebo. Free. More information here. Saturday forecast: A temperature of 53 at 8 a.m. under mostly sunny skies. Looking ahead: Working on your Thanksgiving Day plan and realize it wouldn’t be a bad idea to get in a hike? 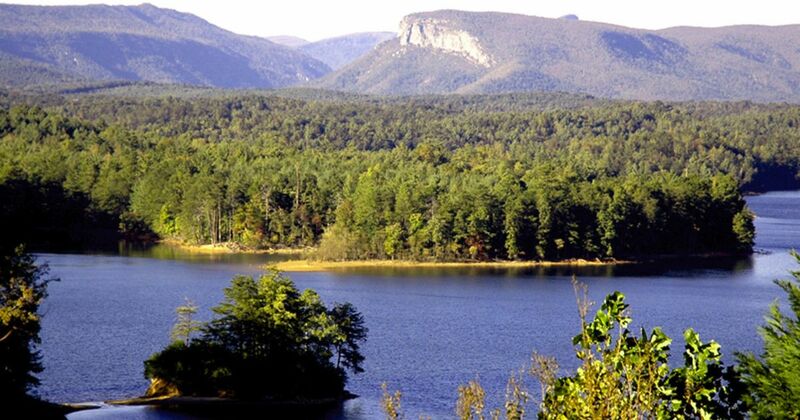 See how your North Carolina State Parks can help, here. If you’re contemplating a trip to the mountains this weekend, it’s likely in hopes of catching a last gasp of great color as autumn’s road show moves into the Piedmont. We’re guessing that color is part of the motivation behind the Carolina Mountain Club’s trip to Big and Little Cataloochee in the Great Smoky Mountains National Park on Sunday. 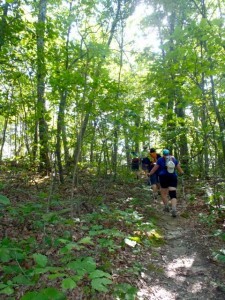 Another motivator: the chance to explore the trails less traveled. In this case, the old “dug roads,” which date back to the 1850s and remain as viable paths today. 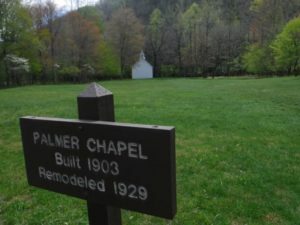 This 6.5-mile hike will stick largely to these old roads, starting from the church in Cataloochee and crossing Noland Mountain before returning. 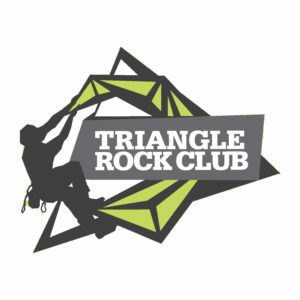 Logistics: Sunday, Oct. 25, 8 a.m. (carpool meeting time in Asheville). 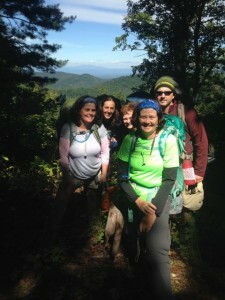 For more info, contact hike leader Mike Knies at 828.628.6712, or knies06@att.net. Sunday forecast: High of 65, chance of afternoon showers. Looking ahead: Race to the Taps #5, Nov. 14, Oskar Blues Brewery in Brevard: a six-pack of four-mile, chip-timed road races starting and ending at several of WNC’s premier craft breweries. Details here.